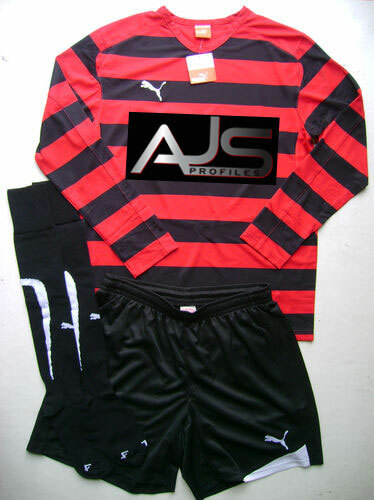 The Mystery team that AJS Profiles has sponsored can now be unveiled as The Pig and Trumpet FC. 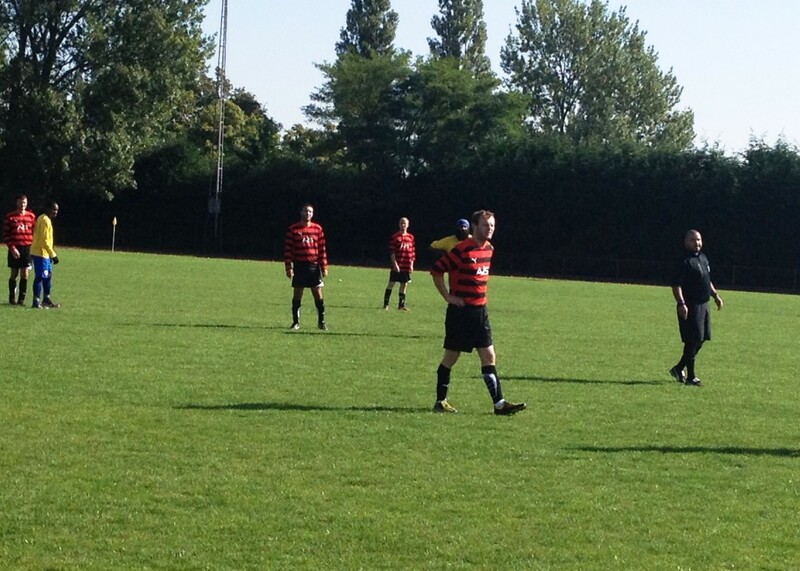 Playing in Division One of the Warley league, they are currently sitting second in the table. As mentioned in a previous post, AJS Profiles are to sponsor a major football team. The kit has arrived today and will be worn by the mystery team on sunday for the first time. 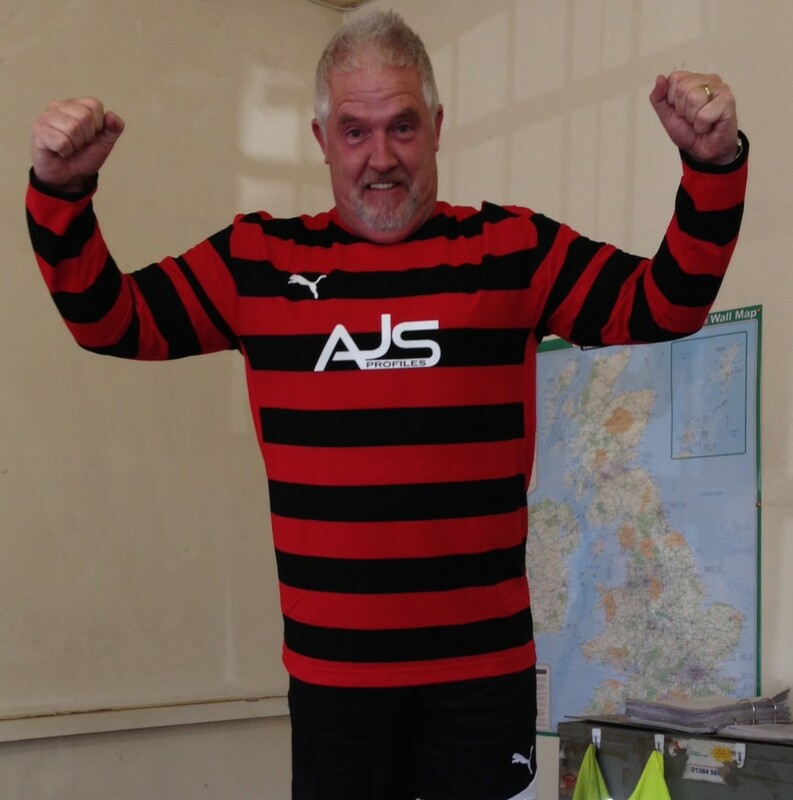 The photo below is of super salesman Bill Gould modelling the kit. Stick to quoting steel profiles and Lumsden grinding Bill!! Most people use a magnifying glass to check small print on drawings, but not super salesman Bill Gould. You need a magnifying glass to find his super low prices. 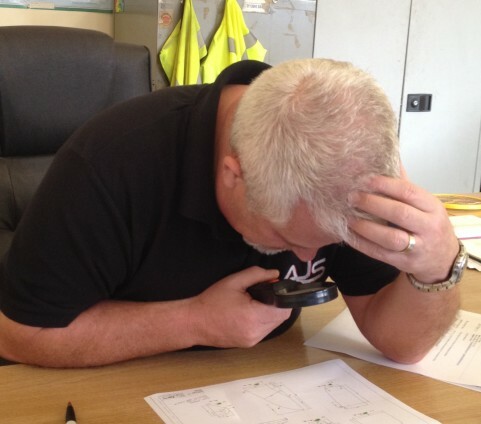 Give us a chance to quote on your Steel profiles and lumsden grinding enquiries and see how tiny Bills prices go!! 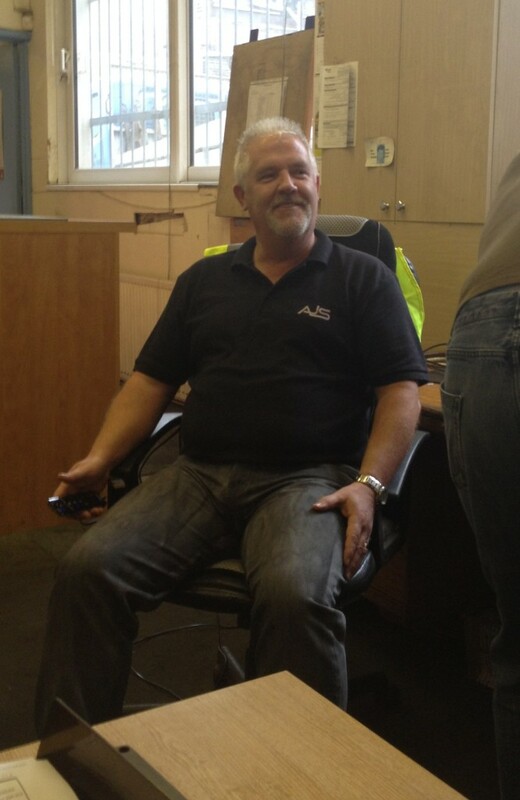 The Photo below shows ‘Steel profiling Salesman of the century’, Bill Gould trying out our new massage chair. 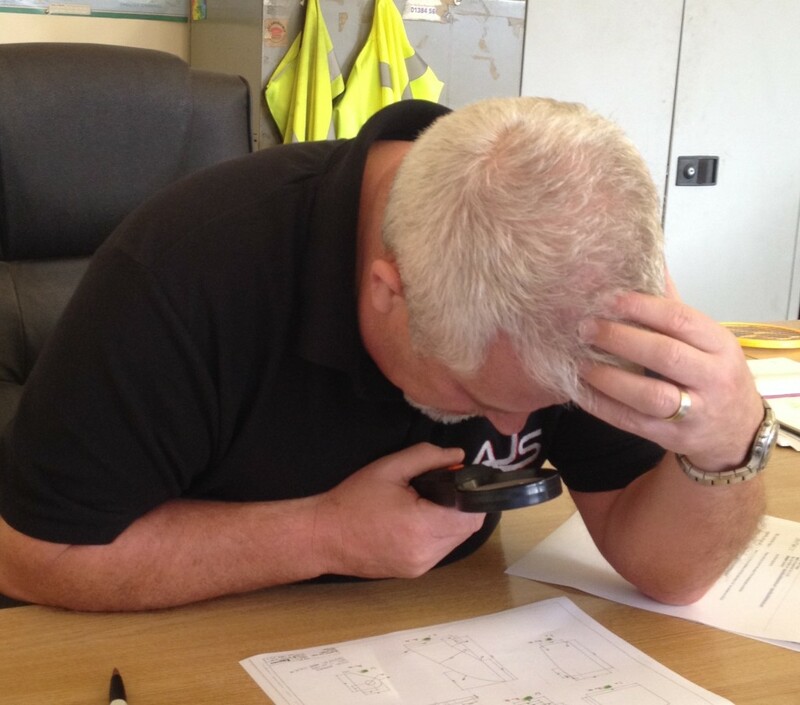 Bill quotes our customers super quick delivery times on steel profiles and Lumsden grinding and deserves a rest now and again. At his age its a miracle he’s still working at all!! 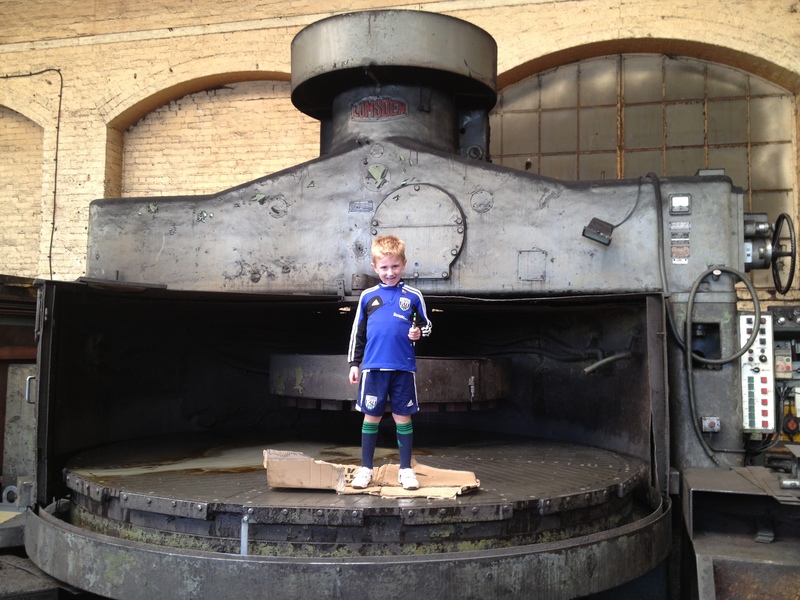 This picture shows the sheer size of ‘Big Bertha’, our 135 inch Lumsden Grinder. Its the biggest Lumsden Grinding machine in the world, capable of grinding a 3430mm diameter. 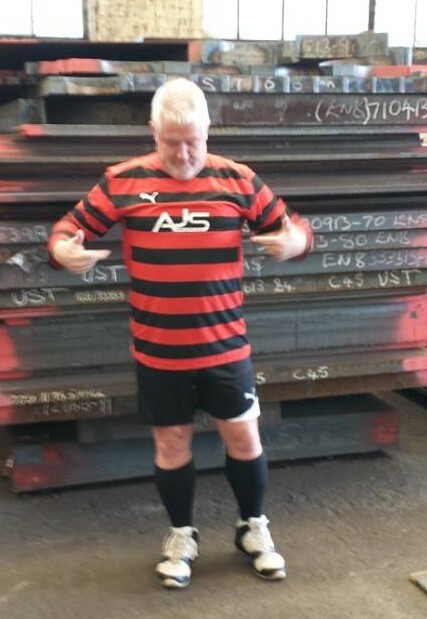 AJS Profiles, the UK’s premier steel profiling and Lumsden grinding company have done a deal with a major football club to sponsor their kit. More to follow…..